Chicago hosts so many holiday events throughout November and December it’s hard to choose which ones to attend. Here at Stitely we once again combed through tons of seasonal events and recommends these as some of the best. For merry melodies check out the upcoming Voices of the Season at the Garfield Park Conservatory on December 2nd. Celebrate the season by enjoying the melodies of various choral groups throughout the Conservatory. One group stands out from the others though, our very own Rachel sings with the Wicker Park Choral Singers who will happen to be participating in the event and its FREE; you have to love that. Come enjoy the music as well as some refreshments and holiday activities. One of my favorite childhood memories is driving through nearby suburban neighborhoods to “ohhhhh” and “ahhhh” at the colorful lights. Why not bring this experience to Chicago? Hop on the “Holiday Lights Tour” with the Chicago Trolley and Double Decker Co. to see the beautiful holiday lights of Chicago. 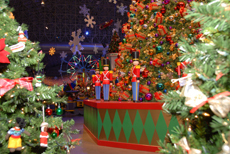 Sights include Macy’s holiday windows on State Street, the Daley Plaza tree, Buckingham Fountain and many more. Make sure to purchase your tickets in advance and check the weather so you know how to stay cozy on the ride! Want to check out some more beautiful lights but don’t want to spend any money to do so? Why don’t you head over to the Lincoln Park Zoo to experience the entire Zoo light up for the holiday season. Check out the animals but also get the mesmerizing lights that make the holiday season memorable. The lights turn on from 5-9pm and Santa is there to take photos with. Besides that though the zoo is offering new 3-D displays, live ice carvings every night and a musical light show. It’s fun for the whole family you won’t want to miss it! While it’s wonderful to be with family during the holidays, there are always those hysterical, awkward, I-CAN’T-BELIEVE-YOU-JUST-DID-THAT moments. This year Second City celebrates these weird holiday experiences with its “Nutcracking Holiday Revue” show. Showcasing a variety of skits along with improv and songs, this show is going to be a hit! Performances run until December 31st so get your tickets now. We hope you have a very happy holiday season. Now get out there and enjoy it! We don’t know about you, but we can’t believe it’s already October! Soon the leaves will be gone, the wind will be howling, and there will be holiday parties to plan and attend. Never fear, Stitely Entertainment is ready to help you make your holiday party the best in town. While every party is unique and the needs of each organization vary, live music or a DJ never fails to take an ordinary event and make it extra special. We even offer discounts for weekdays/nights and can provide a sound system appropriate for speeches. Regardless of the number of guests or the type of atmosphere you want to create, Stitely has a variety of options to fit every budget and venue. 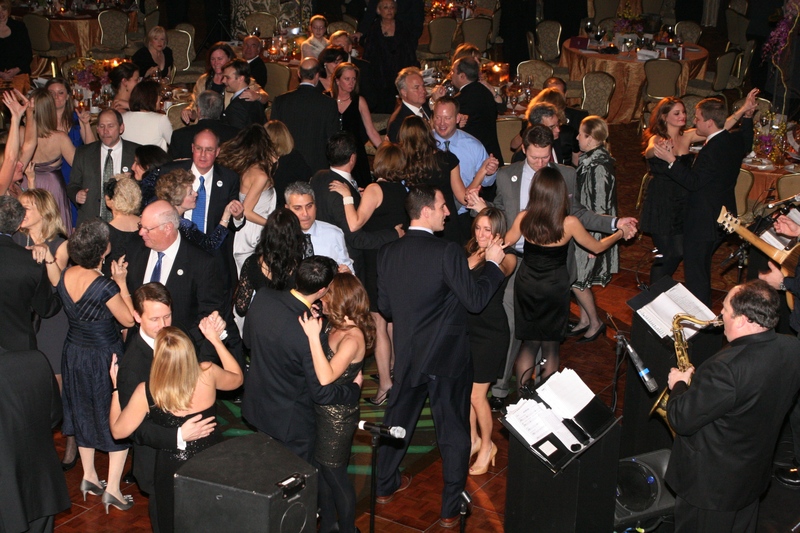 Contact us or call us today at 847-866-8002 to book the perfect music for your holiday party! DJ- Stitely DJs know how to craft a party soundtrack to get everyone from the CEO to the mail clerk on the dance floor. Check out how our top DJ can up the ante for any party. Acoustic/Power Rock Bands– This versatile combo of piano, bass and drums brings the energy of a live band at a price that’s perfect for a smaller budget. Add a guitar/vocalist to dramatically expand the styles of music they can play. Jazz quartet with a vocalist– Add a vocalist to turn a group perfect for background music into an awesome combo for dancing. Dance bands- We have four amazing and versatile dance bands that can flood the floor at your party! Check out our website to see which band is right for your event. Jazz combos– Nothing says elegance like a jazz combo, especially one that can also play a few holiday favorites. Choose from a duo of piano and drums, a trio of piano, drums, and sax, or trio of piano, drums and bass. Another versatile option with a wide repertoire: a quartet with piano, drums, bass and sax. Solo Guitar and Voice– One of our most popular & versatile options is our selection of guitar-vocalists. Whether you want to sit back & enjoy a show, or savor an intimate atmosphere of modern or indie background music, these musicians are pros who energize any event. String combos– String combos are great if you want to hear traditional classical music, though some of our string trios and quartets can also play a handful of pop arrangements. Let us help you pick the instrumental combinations that best fit your budget and desired atmosphere. 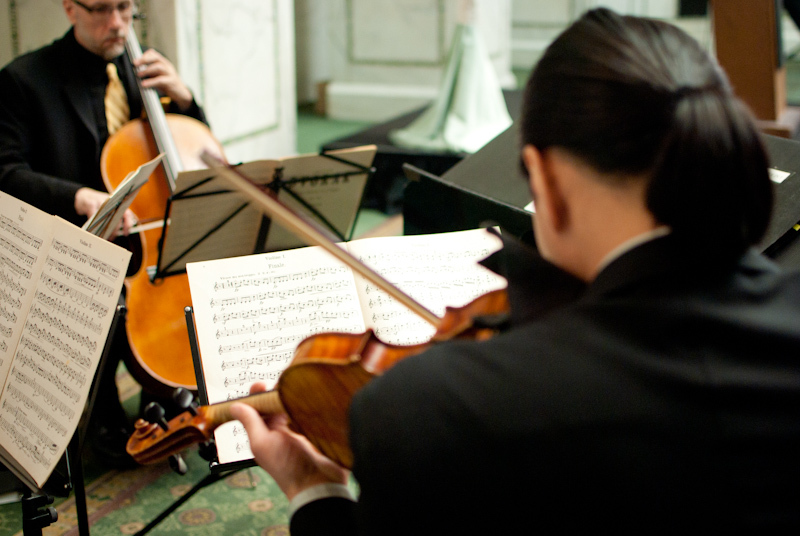 Soloists– We have tons of fantastic soloists who can play classical, jazz or pop music. One of our most popular options is a pianist, but if you’re looking for something unique we also have harpists, accordionists, and more. Blues trio- This combo of guitar, bass and drums is great for sultry, smoking blues background music. Caroling with a pianist- Book a superb Stitely pianist and have yourself a merry little sing-along. Our skillful musicians know a wide variety of carols and songs to get your staff into the holiday spirit. Piano with vocals– Capture the fun of a piano bar with dueling pianos, or enjoy the intimate ambiance of a cabaret with a Stitely musician as he sings & accompanies himself on the piano. Playing hits from all genres, piano with vocals is a perfect option for a show, background music or both. Dickensian caroling party- This merry vocal ensemble arrives in traditional 19th-century costumes and can either put on a show or a lead a jolly sing-along. Blues quintet with a vocalist– Let us show you why Chicago is the home of the blues with one of our fantastic blues combos. Adding a vocalist really ups the ‘wow’ factor to create a dynamic show! Brass quintet- This festive ensemble can really put you in jolly mood by playing the traditional holiday favorites and more. Live band karaoke– Nothing gets a crowd more involved in the party than karaoke. Party like a rock star with your guests as they sing backed by one of our live bands. A great idea for those who want both dancing and interactive entertainment! Chicago hosts so many holiday events throughout November and December it’s hard to choose which ones to attend. So with fun as her top priority, Brynne, Stitely’s super-intern, combed through tons of seasonal events and recommends these as some of the best. While it’s wonderful to be with family during the holidays, there are always hysterical, awkward, I-CAN’T-BELIEVE-YOU-JUST-DID-THAT moments. This year Second City celebrates these weird holiday experiences with its “Dysfunctional Holiday Revue” show. Showcasing a variety of skits along with improv and songs, this show is going to be a hit! Performances run until January 1st so get your tickets now. In case you couldn’t tell from the lovely weather we’ve had in Chicago these past few days, winter is swiftly approaching. Soon the leaves will be gone, the wind will be howling, and there will be holiday parties to plan (and attend). Never fear, Stitely Entertainment is ready to help you make your holiday party the best in town. While every party is unique and the needs of each organization vary, live music (or a DJ) never fails to take an ordinary event and make it extra special. (I mean, what’s what’s an ugly sweater party without hearing Weezer’s “The Sweater Song?”) We even offer discounts weekdays/nights and can provide a sound system appropriate for speeches. Regardless of the number of guests or the type of atmosphere you want to create, Stitely has a variety of options to fit every budget and venue. Call us today to book the entertainment perfect for your holiday party! Acoustic rock trio or quartet– This versatile combo of piano, bass and drums brings the energy of a live band at a price that’s perfect for a smaller budget. Add a guitar/vocalist to dramatically expand the styles of music they can play. Dance bands- We have four amazing and versatile dance bands that can flood the floor at your party! Check out our website to see which band is right for you. String combos– String combos are a great option if you want traditional classical music, though some of our string trios and quartets can also play a handful of pop arrangements. There are a number of instrumental combinations; let us help you pick one that best fits your budget and desired atmosphere. 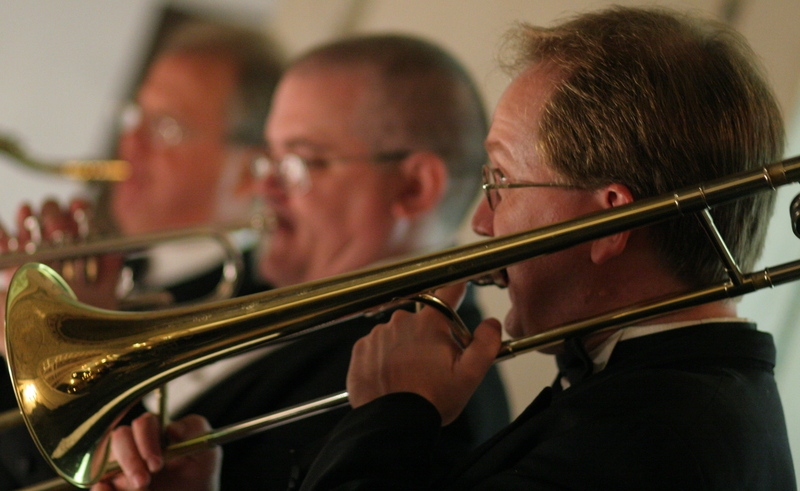 Soloists– We have a ton of fantastic soloists who can play classical, jazz or pop music. Our most popular options are guitarists and pianists, but if you’re looking for something unique we also have harpists, accordionists, and more. Piano with vocals– Capture the fun of a piano bar or the intimate ambiance of a cabaret with Stitely musician Derrick Procell as he sings and accompanies himself on the piano. Playing hits from all genres, piano with vocals is a perfect option for a show, background music or both. Ah, the hustle & bustle of the holiday season. If you’re like me, now is the time to run frantically from one store to the next buying gifts, cook massive numbers of cookies and festoon your apartment with enough lights to rival the Chicago skyline. 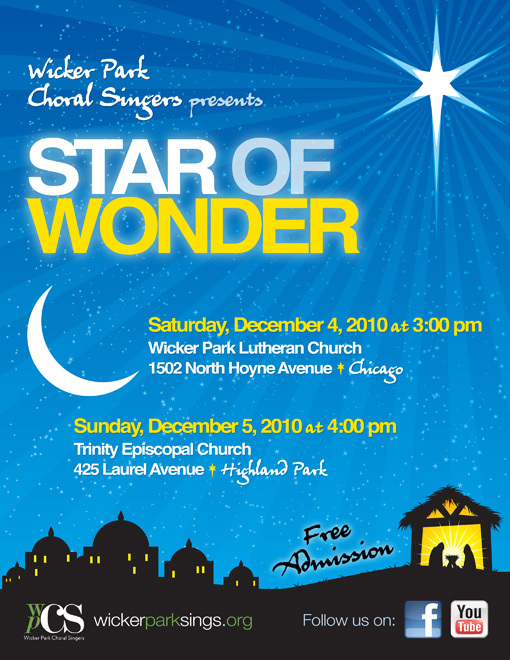 For those of you who need a break from all this holiday madness or if you’re just looking to enjoy this special time of year, I urge you to check out the Wicker Park Choral Singers concert, Star of Wonder, this Saturday, December 4 at 3:00 p.m. at Wicker Park Lutheran Church OR Sunday, December 5 at 4:00 p.m. at Trinity Episcopal Church. Both performances are completely FREE and open to the public. I’ve been a member of the WPCS almost since its inception in the spring of 2008. Originally, a grassroots effort, WPCS has quickly become an established performing arts ensemble in the Chicagoland area with approximately forty members who are passionate about making world-class choral music accessible to the community, and are committed to producing concerts that are free and open to the public. With repertoire ranging from Renaissance motets to contemporary works of today’s foremost composers, WPCS aims to provide something to excite and engage each and every audience member. This year’s concert, Star of Wonder, explores the aspects of light and our innate human tendency to look up at the sky through pieces that highlight the Star of Bethlehem. Star of Wonder will unfold a luminous tale to audience members with a wide range of pieces, including The Three Kings by Healey Willan, There Shall a Star from Jacob by Felix Mendelssohn, O nata lux de lumine by Thomas Tallis, Lux Aurumque by Eric Whitacre, and Gladsome Light from Rachmaninoff’s Vespers. “Portraying the mystery and beauty of light is something that composers have tried to do throughout all of history, and our choir has the privilege of ringing in the holiday season by performing a rich sampling of these beautiful works,” says Mark Tomasino, WPCS President and Artistic Director. For more information about the concerts, don’t hesitate to check out http://www.wickerparksings.org/ I hope you can make it out from fantastic choral music to celebrate the start of the holiday season.